Columbus, GA – May 16, 2018. Since its inception in 2010, Compass has equipped clients with the tools to manage, record and report on member data and run day-to-day business operations. Eighteen inter/national organizations currently use Compass to manage and grow their businesses. OmegaFi is committed to continuing to innovate technology for our partners, with one distinct goal: to make our partners’ jobs easier by providing solutions to help their organizations run more efficiently. 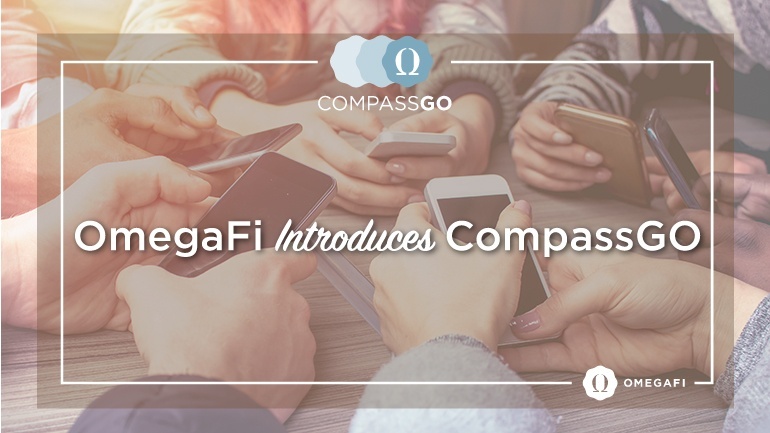 Now, 8 years after launching Compass to support the operation of fraternities and sororities, OmegaFi has developed a mobile application to provide headquarters and executive offices access to data on the go. We are happy to announce the launch of CompassGo, now available for download on your Apple or Android smartphone. Enjoy a fast, intuitive and mobile application that provides on-the-go access to important individual and chapter data. Create Shortcuts and Stacks to organize and quickly access records in just a few taps. Access donor information to better facilitate cultivation and stewardship. Document visits and interactions in contact logs using a mobile device. Review at-a-glance membership and fundraising data via the dashboard. We’ve paid close attention to the evolving roles and responsibilities of our partners’ staff. Increased travel to facilitate organization growth and expansion, continuing education for chapters and fundraising efforts demands that your team be able to access data easily via mobile devices. On-the-go access to organizational data will better position executive teams, staff and volunteer team members to respond more readily. OmegaFi is always innovating and reinvesting in technology to help fraternities and sororities run their business, increase revenue, raise money and connect with their members. This in turn allows chapters, house corporations, alumni/ae associations and inter/national headquarters to effectively bill and collect dues and rent, manage rosters and records, pay bills and employees, file tax returns, communicate with members, engage alumni/ae, thank donors, process payments and raise money.